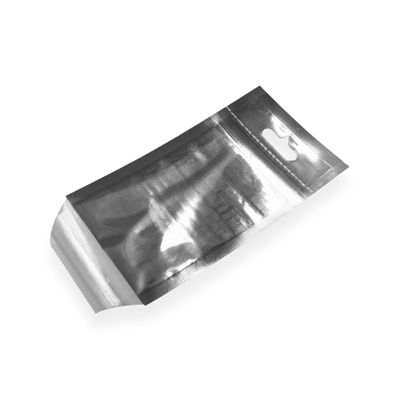 Our HeaderBag’s have been specially designed for packaging and displaying small, flat items. Constructed from a crystal-clear polypropylene front with metalised rear complete with a rigid piece of white-coloured polypropylene in the header. Filled via the bottom and contents secured with a flap with an adhesive strip.